We’re called Cost Effective Maintenance because we’re dedicated to providing YOU with the most cost effective solutions to YOUR engine problems. With 32 years of experience, we pride ourselves in addressing the root cause of all problems, rather than offering “band-aid” fixes. Our Aussie-made range of highly concentrated, high “treat rate” products are usually much cheaper to use than most off-the-shelf alternatives. And our customers invariably tell us how much better they perform! We also deliver FREE AUSTRALIA WIDE! If you need advice, give Jimmy or Brid a call. No one wants to see white smoke, when their vehicle starts. You know it’s not a good sign. Glazed bores, sticking rings or a crook injector, the list goes on! The great news is, we’ve got you covered. Use our FTC Decarbonizer, Flushing Oil Concentrate, Cleanpower (or CRD Fuel Enhancer) respectively. These are proven to be highly effective at fixing the problem of white smoke on cold starts. It’s a fact: Diesel engine sludge inhibits lubrication, and damages engines. For example, sludgy diesel engine oil regularly causes power loss, excessive oil use, poor oil pressure, smoke and overheating under load. Thankfully, we have an answer! 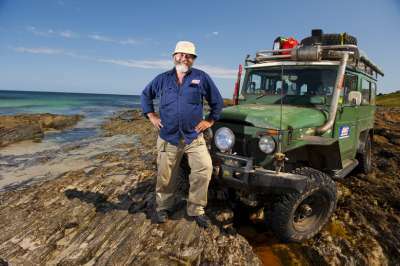 Evan Yates used Flushing Oil Concentrate, with a fresh charge of clean oil, to thoroughly clean out his Toyota Landcruiser Troopy. An extra 2L of goo came out when he drained the sump. As Evan shows in the photo he sent us, the Flush pulled a lot of sludge into the clean oil. Injector rattle or noisy injectors need to be taken seriously. It’s a precursor to expensive repair bills! The injector rattle can lead to diesel smoke, rough idle, dirty oil, poor fuel economy, and even melted pistons! 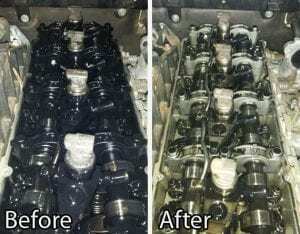 CRD Fuel Enhancer fixes over 90% of injector problems, but better still it’s a cheap insurance policy against expensive repairs, and contaminated diesel. Black oil in diesel engines can lead to expensive problems. That black oil is abrasive and shortens engine life! 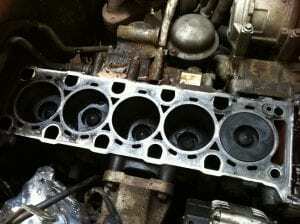 It causes piston ring fouling, loss of performance and can really get out of hand. But don’t worry. We’ve got you covered! Daniel Taylor (WA) owns one of the ever popular Nissan Patrol TD42 GU’s and his is immaculate, well maintained and looked after. Dan reported a bit more power after the Flushing Oil Concentrate was used, but was totally blown away by how clean his oil remained. 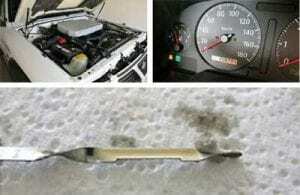 Even 2000km on the fresh oil and you can see how clean the oil is on the dipstick from the photo he sent through to us. Crankcase blow-by (or blowby) and/or oil use are worrying signs for truckies. However, that needn’t be the case. Crankcase blow-by typically means an expensive engine rebuild will be recommended by their mechanic or equipment supplier. The cost these days generally starts at $20,000 and can go up to $60,000. When you’re faced with a possible rebuild, you need to know that your money is well spent. That’s where we can help you. The good news is that over the past three decades, we’ve found that around 80% of trucks with blow-by still have wear within acceptable levels! We discovered that the real problem is usually that they are heavily fouled with carbon and sludge. This is the most common cause of piston ring sticking, blow-by and oil use. If you’ve got blowby or oil use, it makes sense financially to start by restoring the engine to a clean condition. And it couldn’t be easier! Plus, the cost is low and there’s no downtime either. Simply use our Flushing Oil Concentrate with FTC Decarbonizer, and in 80% of cases, your engine will reduce blow-by and oil use. Most of our customers, who are able to monitor their fuel use, report significant fuel savings after using the product. AW10 Antiwear is formulated to deliver massive increases in lubricant load carrying ability, wear reduction and friction (and heat) reduction. Engine carbon accelerates wear. That’s not all. Engine carbon also lowers performance and hurts fuel economy, as well as potentially causing turbo failures, EGR problems and much more. Thanks to FTC Decarbonizer you can relax. Bob sent this photo in of his old Discovery. You can see from the outside of this engine that she’s an old girl, and done a lot of work. Inside, however, was a surprise for the mechanic who lifted the head. It’s really clean! Bob’s been using FTC Decarbonizer. No hard carbon at all & good as gold! Lots more life in the old Disco yet! Sludge is now a major killer of petrol engines. Once mechanics see bad sludge build up, they usually tell their customers to sell it or rebuild the engine. The sludge can really bake on, and when it does, it is almost impossible to remove. We’re proud to say that we’ve made it possible to remove the damaging sludge. 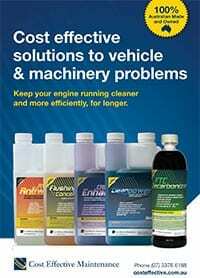 You’ll need our petrol engine Flushing Oil Concentrate and the instructions we provide. As you can see from the photo, the results can be fantastic. This flush was performed by MotorCare 4WD. BRING US YOUR ENGINE PROBLEMS OR MACHINERY PROBLEMS! At Cost Effective Maintenance, we’re proud. Proud to have been solving Australia’s engine and machine problems for over 30 years. And proud to have been providing you (our valued customer) with the most cost effective solutions to your maintenance problems. Properly solving an existing problem with an engine, transmission or other component at low cost, easily and with no or minimum downtime. Whatever your problem is, we’ve fixed plenty of them already! But just as important, we prevent these problems recurring. This can save you a massive amount of money, stress and frustration. Advanced preventative maintenance takes the normal recommended maintenance and log book type service regime, and cranks it up to the next level. It’s about using superior industrial grade fuel and oil chemicals, which give you operating benefits, greater performance and significant efficiency improvements too. 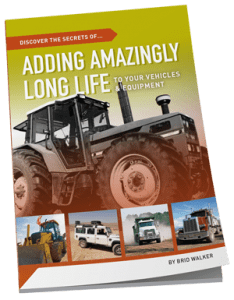 One major benefit, particularly for farming and commercial fleet operators, is the substantial increase in engine, transmission and other component life. The savings here can be huge. Advanced Preventative Maintenance is very popular with our trade customers, who build a loyal following by achieving a superior result for their customers. 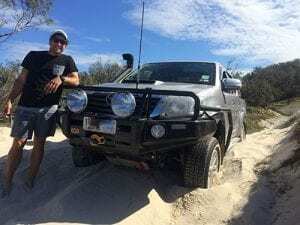 Toyota Landcruiser towing caravan around Australia. Mercedes Campervan, Expedition camper and just want maximum reliability, and performance, and minimum stress?? 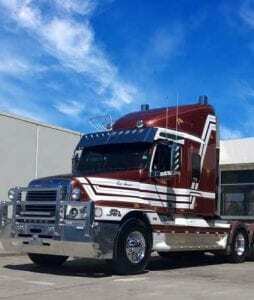 Detroit Diesel Series 60 powered truck with 2.7 million kms untouched on CEM products! Torana XU1, Falcon GT HO, Hemi Chargers, HSV Monaros. Preserve them all with CEM Ultimate Pack! We successfully help our valued customers to keep their old machinery working for longer, with better reliability. We also keep new vehicles always performing like new, based on those 2 smart principles. 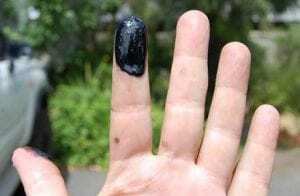 Pioneered the fix for diesel engine oil going black as soon as it’s changed. Provided a safe means of deglazing diesel or petrol engines. Lowered horrific levels of diesel smoke from PNG’s high altitude Porgera gold mine. Pioneered procedures that have saved literally thousands of engines from mechanic recommended rebuilds. Operators of Caterpillar D11R dozers were getting 8000-10,000hrs engine life, with many failures as early as 3000-4000hrs. This was against a Caterpillar recommended 12,000hr overhaul. Caterpillar couldn’t come up with a fix, yet we successfully brought a fleet of 10 x D11R’s at a BHP mine to 18,000hrs service life…a clear 50% above Caterpillar target! Keeping older vehicles and machinery in commercially productive service for much longer. Reducing operating temperatures, stress and wear rates in gearboxes (both manual and automatic), diffs, final drives, hydraulics. Increased coal production efficiency by 5.1% at a Rio Tinto mine. If you have any questions or would like some friendly advice about your engine or machinery problems, call Jimmy or Brid now on (07) 3376 6188.